Check out the latest episode of the Blockchain Report with Taylor Nikolai. 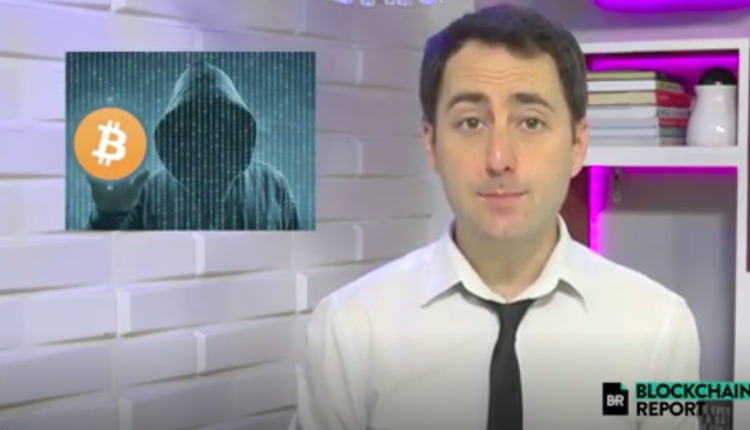 Welcome to The Blockchain Report, your daily rundown in the latest of crypto with your host, Taylor Nikolai. 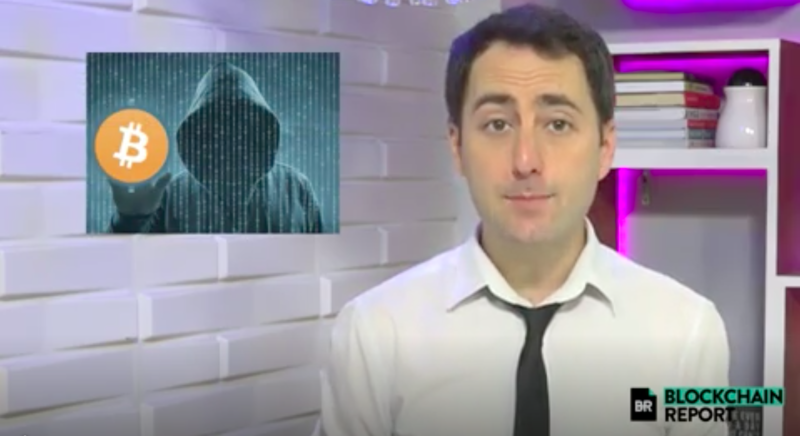 On today’s show we’re going to discuss scams to watch out for in the crypto world. With so much money to be made in the the crypto space, there’s no surprise that there are scam artists everywhere, trying to take advantage of unsuspecting rookies. We’re going to go over some of the most popular scams that people are using in the crypto space. Hopefully you don’t have to deal with any of these issues, but if you do, please be sure to report them. The three most popular scams in the crypto space are: phishing scams, social media scams, and ponzi scams or fake ICOs. The first scam we’re going to talk about is phishing scams. The way you can remember “phishing” is that it sounds like “fishing.” *stares* Phishing is one of the most popular scams in the cryptocurrency field. Phishing is when a person attempts to get valuable, usually sensitive, information about an individual. This information can include cryptocurrency exchange passwords, private keys, or even seed phrases for digital wallets. The scammers generally set up a fake website that LOOKS legit, but it’s really not. This is THE most popular scam in the crypto world because there’s not much to it. All you have to do is have a web site URL that looks similar to the real one, and an email address. Anyone can do it! …And that’s the problem. The scam is generally executed in one of two ways: Online advertisements and email. Let’s start with online advertising. This is basically how it works: you go on Google, and you search something. Let’s say it’s an Ethereum wallet. Then you’re like, “Hey I should probably click on the top Google search result.” BUT WAIT– You click on that top link, which is an advertisement, but it’s a fake website! You enter all your information and suddenly all your money is gone. I know we’re making light of this issue, but this is a serious problem. It’s such a big problem that this is a main reason Google has banned cryptocurrency advertisements in the past. Now that you know not to click on advertisements EVER when searching for crypto stuff, let’s look at the other method: E-mail phishing. This is another one of those no-brainers: Never open an email and click on links unless you’re ABSOLUTELY POSITIVE you know who the sender is. An incredibly popular method of email phishing is when the scammer sets up an email account with a legitimate sounding name, emailing the potential victim that unusual activity is happening on their cryptocurrency exchange account, and informing the potential victim that they need to confirm whether or not the activity on the account/wallet is legitimate. Then you click on the link from the email (because you think it’s real) and enter your information. Then the scammers have your information. Then you lose all your money. Next up, we’re going to talk about social media scams. A super common thing you’ll see on social media, or specifically Twitter lately is bots pretending to be real people. Let’s say you’re on Twitter and and trying to follow Vitalik Buterin. But to your surprise, he’s giving away free Ethereum! No one’s ever giving away free crypto on Twitter, guys. The tweets usually say that if you send 1 ETH to some address, he’ll give you 10 ETH back! Thinking that’s incredibly generous of him, you send the ETH to the address waiting for your reward. You wait… and you wait… and a few weeks later you still don’t have 10 ETH in your wallet address. You were scammed. To avoid this, just stop believing everything you read on the Internet. If you can’t do that, just make sure that the person you’re actually following has a blue verified checkmark next to their name. This means they are verified on Twitter, and are more likely the real person you’re trying to follow. And finally, the third very popular method of scamming people in crypto is through fraudulent ICOs and Ponzi Schemes. First, let’s go over fraud ICOs. This is when people create an a token, release an ICO for it, then leave everyone holding onto their bag of crypto while they exit the building. Scam ICOs have similar characteristics, so watch out for the following: No whitepaper, or whitepaper is lacking in detail, whitepaper provides no technical information about how the ICO will actually work, focuses mainly on promises about large returns, lack of official social media accounts, lack of information about founders, or supposed founders don’t have a LinkedIn account. Now, Ponzi Schemes. A Ponzi Scheme is basically when people are promised something huge, but if – and only if – more people buy into the idea. So how do you avoid putting money into a Ponzi scheme? There are three main things to do to avoid a Ponzi Scheme. The primary thing to look for in a cryptocurrency is *does it provide value*. This is the most important thing about cryptocurrencies and blockchain technology, if something doesn’t create VALUE, it’s essentially worthless. The second factor is if the company offering the cryptocurrency offers an unrealistic return to its investors. You should be wary if the main focus of a company for its cryptocurrency is about how large the returns will be for investors. The most important thing is fundamentals, and lastly… The last factor to look for is whether or not the company rewards users with higher returns through a referral program. Ponzi schemes can continue to survive as long as more people enter into the scheme. Referral programs bring in more users to the Ponzi, which allows the Ponzi to continue. Be wary if a company offers to reward you with higher returns for referrals. We here at The Blockchain Report take scams very seriously. If you believe you are in the midst of being scammed, please do yourself – and the community – a favor, by reporting it. Be sure to follow @BlockChainReport on Instagram to stay up to date on the latest cryptocurrency news and trends.